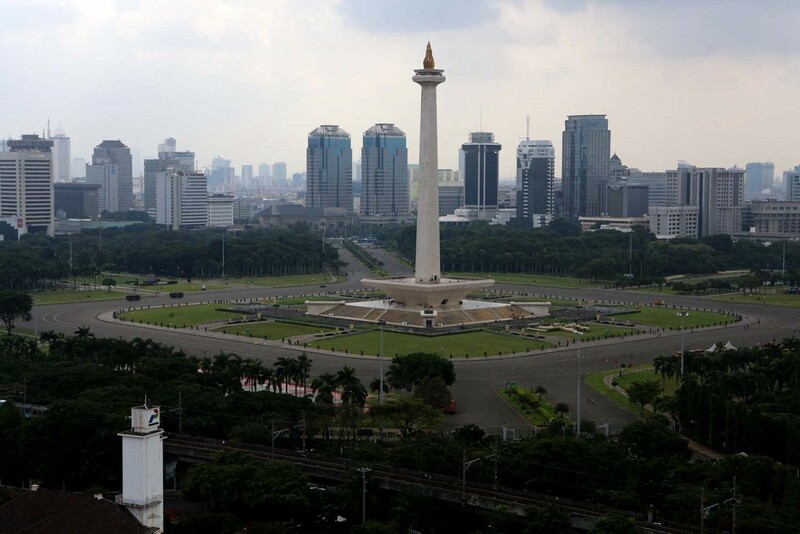 A proposal to move the Indonesian capital city from Jakarta to other locations has been discussed since the Sukarno presidency, and even earlier during Dutch colonial era. In fact, in early 20th century there was an effort by Dutch East Indies government to relocate the capital from Batavia (colonial Jakarta) to Bandung. In 2010s, the idea to relocate the national capital or administrative center has been revisited, mainly because of Jakarta’s environmental degradation and overpopulation problems. Jakarta attracted large numbers of new settlers from all over the archipelago, with majority came from rural Javanese towns. High rise buildings sprung up, especially in Jakarta’s commercial and financial centers along Thamrin, Sudirman and Kuningan avenues. The government plans by the end of the year to finish assessing potential alternative cities that could become Indonesia’s new capital. National Development Planning Board (Bappenas) head Bambang Brodjonegoro said Monday that the government was determined to move the Indonesian capital out of Java. He said Palangkaraya in Central Kalimantan was one of the options. “It has to be outside Java,” Bambang said on the sidelines of the Regional Workshop on Country Safeguard Systems as quoted by Antara news agency. “The final decision will come within this year”. Complex land ownership and ridiculous costs of re-engineering development on Jakarta has led to negative infrastructure spending. The city has always been enjoying herself as the center of Indonesian economy for almost a hundreds of years. In the search for the country’s new capital city, Bambang explained that Bappenas was looking at the availability of land and natural resources around the potential cities. He, however, declined to detail the list of the alternatives besides Palangkaraya. The government included Palangkaraya on the list because former president Soekarno had planned to move the capital city there. In Indonesian history, there has been examples of the transfer of capital practices. The capital of the 7th to 13th century Srivijaya empire, for example is believed has been moved several times with locations shifting between Palembang, Central Java, and Jambi. The Medang Mataram kingdom for example, is also known to move its court several times, such as the capital in Mataram area in Prambanan Plain in the 9th century, and later circa 10th century moved to East Java, somewhere in Brantas River valley. The idea to separate the commercial trading hub with royal capital, has been demonstrated during 13th century Majapahit empire. The major trading ports were located in coastal cities of Hujung Galuh (modern Sidoarjo and Surabaya) and the port of Tuban, while the royal capital, the ceremonial center of politics and administration, was located inland in Trowulan. The 17th century Javanese Mataram Sultanate is also known has moved its capital several times; from Kotagede to Kartasura, and later to Surakarta and Yogyakarta. During the Suharto‘s highly centralized New Order regime, Jakarta was further established as the political and economic core of the nation. Prompted with rapid development and urbanisation, As the result, since 1970s the population of Jakarta spiked tremendously, and spilled to areas surrounding the capital. The Jabodetabek or Greater Jakarta region has become the largest and the most densely populated urban agglomeration in Southeast Asia. The massive overpopulation, coupled with lack of urban infrastructures, lack of public transportation facilities, the over-extraction of ground water, the encroachment of urban areas replacing open green spaces, and the spread of slums areas within the city, the gridlock traffics and poor water drainage systems; all of these has led to ecological degradation of the city. As the ground water extracted, the city slowly sunken lower, in fact parts of Northern Jakarta are virtually below the sea level, and regularly suffers flooding. Jakarta suffered massive flood in 2007, and again in 2013. These urban planning failure and environmental calamities, has prompted the proposition to relieves Jakarta by reviving the idea to relocate the political and administrative center elsewhere. In 2010, the debate continued about the creation of a new capital city that would be separated from the urban, economic and commercial center of the country. Former president Susilo Bambang Yudhoyono supports the idea to create a new political and administrative center of Indonesia, due to Jakarta’s environmental and overpopulation problems.